We take the greatest care to ensure you feel no pain during your visit in our office. Offering a wonderful variety of services to help enhance your overall dental health. Taking the greatest of care to make all patients PAIN FREE during their visit. Dental implants help a great many patients in a wide array of dental health issues. Look your best, feel your best, and always remember to smile for the world to see. Dr. Lisa Lu Davis is a comprehensive, caring and conscientious clinician Paso Robles depends on for the latest technologies and a relaxing and professional environment. Dr. Davis is the dentist Paso Robles and Central Coast patients see for general dentistry such as dental cleaning, fillings, and teeth whitening and advanced dental procedures including implant restorations, dental veneers, Six Month Smiles, dentures, crown and bridges, root canals and creating healthy smiles. Building partnerships with every patient to create ideal dental health through preventive care and patient education are foundations of Dr. Davis’s conscientious oral care practices. 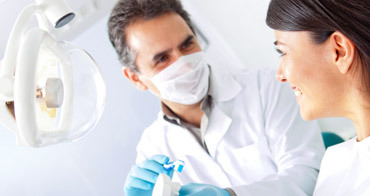 Using state-of-the-art technologies in all procedures add to the reasons Dr. Davis is a dentist Paso Robles area families and individuals choose for dental health care. State-of-the-art technologies include digital x-ray technology that allows dental conditions and disease to be more precisely diagnosed. Examinations, dental cleaning, general dentistry and advanced services for dental restorations and extractions are performed with the most conscientious and modern procedures for patient comfort and continuing dental health. Since attaining her DMD (Dental Medicine Doctorate) in 1999 from Temple University in Pennsylvania, Dr. Davis has continued to add knowledge and credentials for latest and most effective diagnosis and dental procedures and technologies. While still in dental school, Dr. Davis received awards in radiology, treatment planning and restorative clinics and was honored for her research in Sjorgren Syndrome. Prior to attaining her DMD, Dr. Davis completed undergraduate studies in biology. She is Invisalign trained and a certified Six Month Smiles provider for cosmetic braces. Dr. Davis is also an educator at the Spear Institute dental center. Dr. Davis is devoted to understanding and treating patients as a whole person, serving to attain optimum results. 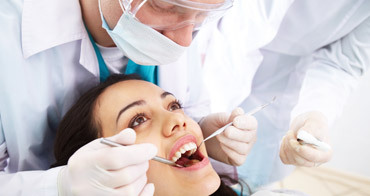 A visit to Dr. Davis the dentist, Paso Robles and the many area activities available to locals and visitors can combine into a healthy and satisfactory experience. Local activities include a number of parks with playgrounds for family outings and walking and hiking paths. Several museums in the area feature looks into Paso Robles’ history. The shops offer treasures, gifts and clothing to satisfy all ages and healthy food is available from popular eateries. Paso Robles is well known for the many vineyards and wineries, many serving breakfast, lunch and dinner and regularly stage nationally known entertainers as well as creating and serving award-winning wines. Our patients come from near and far to experience the warm, individualized care we provide. We offer a variety of professional dental services including, but not limited to Bonding, Crowns and Bridges, Cleaning, Dentures, Extractions, Fillings, Implant Restoration, halitosis, Veneers, Whitening, and more! We are here to help you obtain the results you need and would like. Using professional technologies to reach your dental need goals. Dr. Davis loves providing patients options to achieve their aesthetic goals. She works hard to give each patient a healthy, achievable and maintainable smile. Current patient emergency call (805) 238-6777. Dr. Davis is dedicated to understanding and treating patients as a whole person, helping to achieve optimal results.